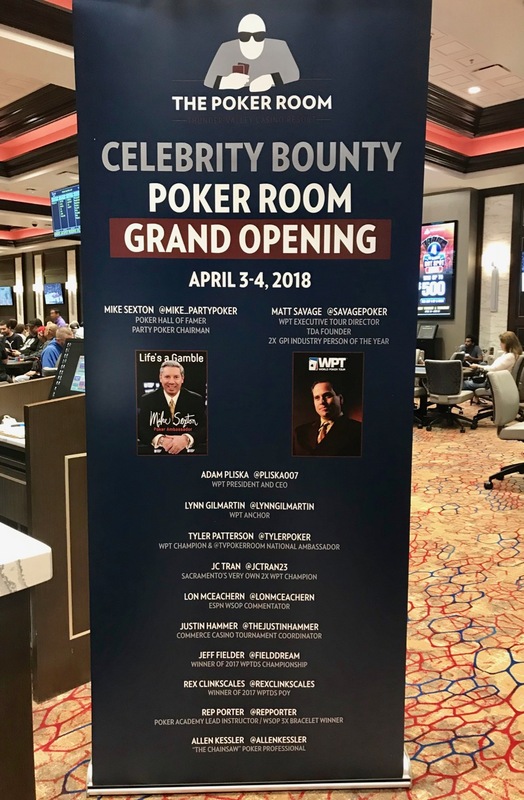 Wednesday's #WPTDSThunderValley $560 Grand Opening Celebrity Bounty is going to be a great deal of fun, and you win your way in to all the action tomorrow via a pair of $100 satellites. There's a 5-seat-guarantee of Tuesday's 2pm satellite, and a 10-seat-guarantee on Tuesday's 7pm satellite. Start with 10,000 stacks and play 12-minute levels. 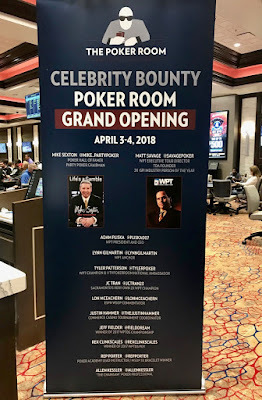 1-in-7 entries earns a seat in to Wednesday's Noon-start Grand Opening Celebrity Bounty featuring the host of folks listed on the banner below, and adding WPT Founder Steve Lipscomb.